Athlete for athlete and team for team over the past fifteen years, the TCU Horned Frogs football program has been arguably the best in Texas. Since their first BCS bowl game appearance in 2010, the once overlooked school in Fort Worth, Texas has become the most feared in the state, known for its football powerhouses. Although the program was finally receiving the respect it deserved nationally, there was room for improvement when it came to their social media presence and brand identity — two things that recruits subconsciously look for when selecting a school to attend. "Leverage Sports has been a tremendous asset to us in regards to recruiting and those guys have always been there whenever we needed to call on them for their expertise." 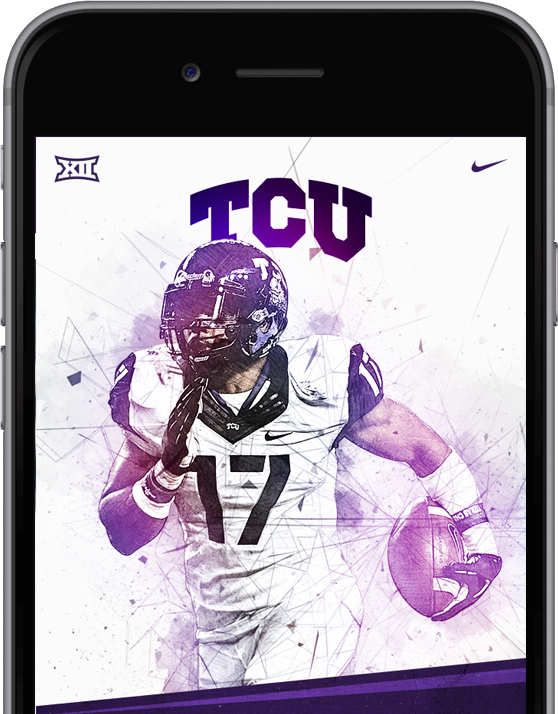 Our challenge was to create a brand identity and social media fingerprint for TCU from ground zero and a social ecosystem that was easy to digest for the coaches who lacked experience with Twitter, Instagram, Snapchat, etc. We wanted to humanize Coach Patterson by showing recruits and their families that he cares about his players on the field, off the field, in the classroom, and long after they’ve graduated. Additionally, helping the Horned Frogs bounce back from their first losing season since 2004 by landing its best recruiting class was a challenge we faced. Our primary objective is always to help programs sign the best recruiting class possible through communicating the program’s unique strengths. We wanted to communicate to recruits and their families that TCU was a place that would give them the structure they needed to be successful but also that the program and university was a place they could grow and have fun. We wanted to introduce everyone to Gary Patterson, the man everyone knows and loves and not just the successful football coach. We also wanted to highlight TCU’s ongoing relationship with Nike and showcase the program’s top rated uniforms amongst college football players and fans. Most importantly, we needed to create the campaign hashtag, #FROGFAM, so that everyone from recruits and their families to the coaching staff and fans and alumni could rally around and show their TCU pride. We created the TCUFTW campaign and strategy across digital to let recruits and their families know that when they chose to further their educations and careers at TCU, it was going to be a win. The campaign delivered originally branded and exclusive content, which lived on Instagram, Twitter, Snapchat, YouTube, and Vine. We also built a custom app for IOS and Android devices that extended the brand message and experience. Through push notifications and content, this app allowed the coaching staff to engage recruits daily in ways that they have never done before while providing a return on investment through an analytics driven strategy. With these solutions, the results showed that the campaign was what Coach Gary Patterson and his staff have been doing for years — winning.